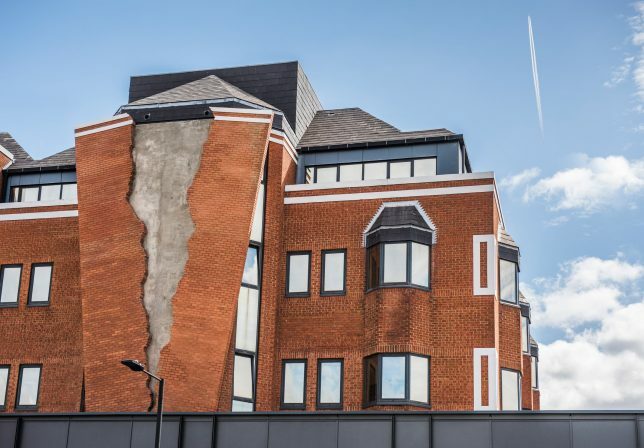 A London building appears to have fallen victim to an earthquake tremor or foundation collapse, with a jagged section of its brick facade split in half and threatening to collapse altogether. But the deteriorating appearance of this otherwise pristine structure isn’t quite what it seems. 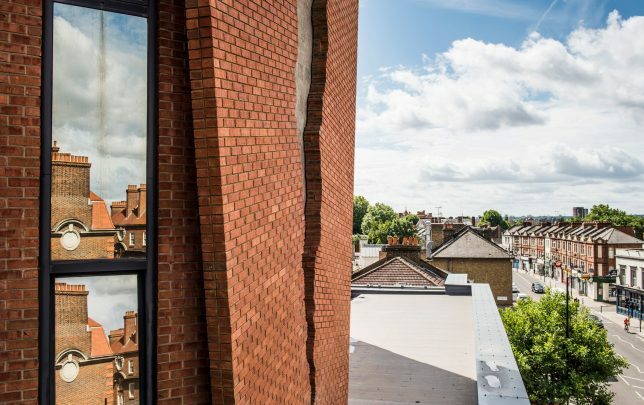 Artist Alex Chinneck used 4,000 bricks to create the effect of a ripped piece of paper to create ’Six Pins and a Half Dozen Needles,’ a nearly 66-foot tall sculpture outside a mixed-use complex known as Assembly London. 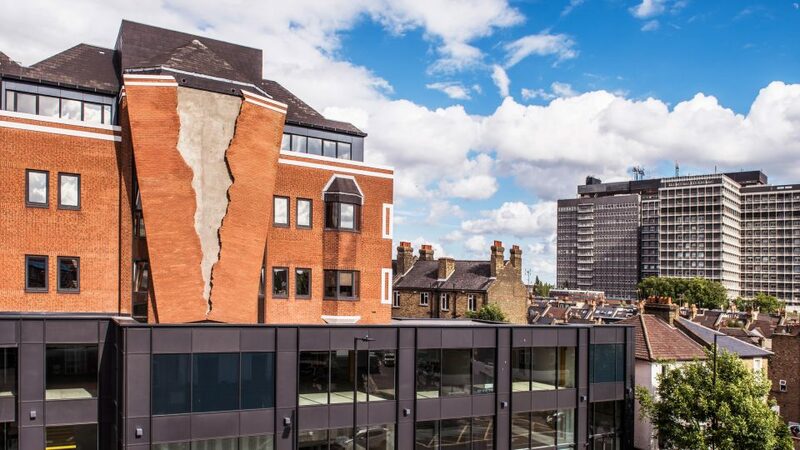 With the paper reference, the artist pays tribute to the site’s former life as home to the publishing company Hammersmith. Chinneck says he spent months scanning torn sheets of paper to find just the right pleasing edge for the split. The sculpture blends into the main building behind it, partially obscuring a few windows, and its elevated position makes it a real eye-catcher. 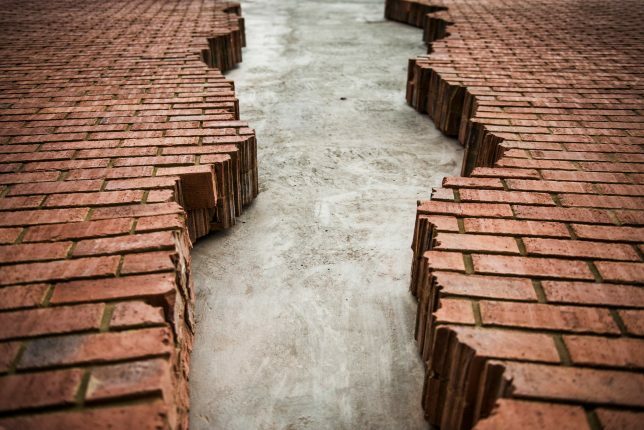 It’s two bricks deep, and took 14 months to complete, with the help of structural engineers, steelworkers and brick makers. Its stainless steel framework is bolted and welded to the building behind it. 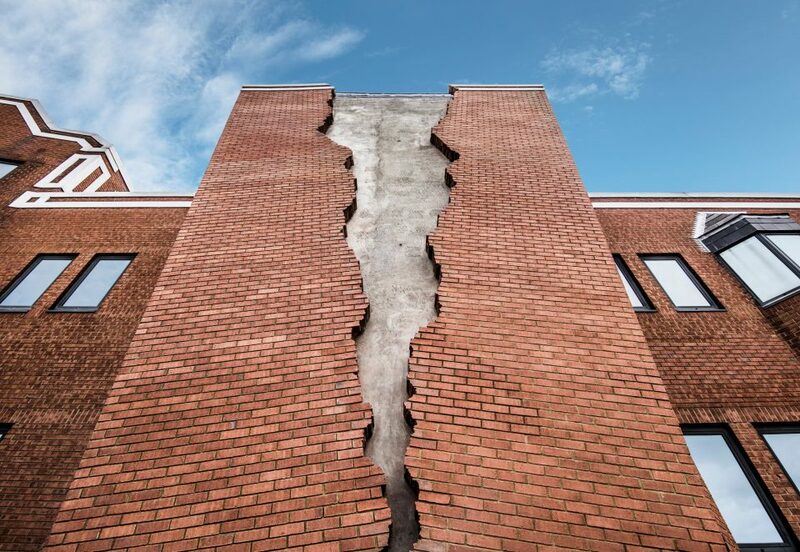 Chinneck previously dropped jaws and raised eyebrows in London with two particularly dramatic installations: an upside-down car clinging to a curling piece of pavement outside the Southbank Centre, and a brick facade sliding off the front of a building in Kent. Unlike these previous works, however, ‘Six Pins’ is permanent.